One of the most significant new capacities that accompanies Cultural Maturity changes is the ability to engage limits in more sophisticated ways. Of particular importance, we become better able to recognize that some limits are inviolable. Nothing more defined the modern age narrative than the fact that it was heroic—our task on confronting limits was to defeat them. With Cultural Maturity, we better appreciate that certain limits, no matter how hard we try, cannot be defeated. We also recognize that when we ignore this fact, we make ultimately unwise, and often dangerous, decisions. The significance of this newly mature relationship to limits is most obvious in confronting inescapable environmental limits—as with climate change or the extinction of species. But I’ve noted other critical implications. I’ve described how dramatically relationships change when we appreciate real limits to what we can be for one another—both with love (where we’ve made the other our answer and completion) and with global relations (where in the past we’ve created worlds of “chosen people” and “evil others”). In the previous article—on leadership—I highlighted the importance of recognizing when limits exist to what we can know and control. I’ve given special attention in my books to one particular inviolable limit: the fact of death. Death represents life’s ultimate limit to what we can know and control. Always before in our history, cultural belief has served to keep death’s full significance at arm’s length. Later I will describe how religious belief in particular has served this protective function. Such protection has been essential. Looking as directly at death as I will argue our times require would have stretched us beyond what we could have tolerated. Appreciating how this picture is changing sheds valuable light on a handful of critical cultural challenges. It also provides insight into the more general significance of our times and important evidence for the concept of Cultural Maturity. I’ve described Cultural Maturity as a new—and newly demanding —common sense (see Common Sense 2.0). A new, more mature relationship to death is an essential aspect of that needed new common sense. With some of the specific death-related challenges I will describe, we see important beginnings of the needed greater maturity. With others, consistent with how Cultural Maturity is ultimately about the long term, possible consequences I will touch on may remain well in the future. But even where it may be many decades before changes are broadly appreciated, we can learn a lot from reflecting on just where these changes might ultimately take us. I’ve written most extensively about the importance of a new, more mature relationship to death as it pertains to the future of health care. Viewing death as an enemy to be conquered has been central to many of modern medicine’s grand achievements. Today this picture is changing—and in fundamental ways. Leaving behind modern medicine’s heroic, defeat- death-and disease-at-any-cost mindset will be critical going forward. I’ve argued that good health care policy in the future will require a maturity in our relationship with death not before necessary, nor within our human capacity to handle. This new reality confronts us most immediately with the importance of containing costs. As medical interventions become ever more expensive, continuing to see death as an enemy to defeat results inevitably in medicine that is simply not affordable. But in the end, whether we are to have ultimately compassionate and effective care similarly hinges on a new maturity in our relationship to death. When we view death as an enemy, too often we confuse the prolongation of life with supporting life. The common result is extreme interventions that violate the Hippocratic Oath to “do no harm”—well-intended measure that are, in the end, simply not moral. A closer look at the task of cost containment highlights how deeply challenging and fundamentally disruptive the needed changes will be. We tend most often to frame the health care delivery crisis in economic terms —pit free market verses more centralized approaches. We assume that choosing one economic strategy or the other will eliminate inefficiencies and provide a solution. But health care expenditures are spiraling uncontrollably—for everyone, whatever kind of system they employ—and there is no natural end in sight. While inefficiencies and excesses play some role in what we see, the most important factor is more basic—and no one’s fault. Spiraling costs are primarily a product of modern medicine’s great success. Early innovations —like sterile technique and penicillin—were relatively cheap. More recent advances—sophisticated diagnostic procedures, exotic new medications, transplant surgeries, and more—are increasingly expensive and promise only to get more so. This recognition might suggest that escalating costs can’t be stopped. But they must be. Increasingly they threaten not just medical care, but the health of economies. We face a stark reality. Unless we are willing to use an ever-expanding percentage of national resources for health care, we have no choice but to restrict health care spending. This new circumstance puts before us a whole new order of ethical challenge. We need only look to extreme reactions that follow the suggestion that we might have to “ration” care to appreciate the newness of what is being asked of us. We’ve always rationed care, at least in the sense of often withholding care from those not able to pay for it. And often there has simply not been effective care available. But restricting care in the conscious way our times demand is different. Not providing care when we have effective care to offer fundamentally calls into question the heroic mythology that has defined modern medicine. More deeply, restricting care demands a new relationship to that most taboo of topics: our human mortality. Medicine has always been about life- and-death decisions. But limiting care in the sense I’m suggesting involves consciously withholding care that might at least delay death’s arrival. An exercise I’ve done with groups puts the unsettling reality of what is being asked of us in high relief. I start by handing participants a list of ten patient profiles—including both information about both patient’s lives and their illnesses—along with a budget. Then I send the group off to a room for two hours with instructions to decide how the money should be spent. The choices that the exercise requires of participants can be so emotionally and morally wrenching that people refuse to make them. But the exercise is not an abstraction. It presents the task we inescapably face if we are to effectively address health care limits. It is important to appreciate that we already see important changes in how the health care world relates to death. These changes represent only first steps, but they could not be more significant. We witness growing recognition of the importance of end-of-life conversations between patients and doctors. The role of quality hospice care is increasingly appreciated. And states are beginning to pass legislation that supports doctor-assisted suicide. As far as the degree of maturity needed if we are to effectively address spiraling costs, it is possible that we are talking about changes that are yet far in the future. The confrontation with death required is particularly direct —and often agonizing. And as yet, people rarely appreciate what will ultimately be required. I find it fascinating how often politicians have assumed that making changes in health care delivery policy is low hanging fruit only to be blindsided by controversy and the task’s complexity. But there is also an important reason changes could happen more quickly than we might imagine. I’ve observed that there are a couple of concerns that will likely serve as particularly important teachers when it comes to Cultural Maturity: climate change and the health care delivery crisis. Cultural Maturity’s changes are never just some luxury—nice options that we can get to when it might be convenient. But with these two concerns, if we don’t act quickly dire consequences will result. As far as cost containment, it should not be long before escalating costs stop us in our tracks. However quickly changes happen, continuing to move beyond the Modern Age’s heroic narrative when it comes to death should be more and more central to health care being a life-affirming enterprise in the decades and centuries ahead. A person could argue that looking more squarely at death is nothing new— just new for medicine. For example, one might claim that religion is a sphere that long ago made its peace with death. Funerals most commonly take place in churches. And religious settings are where we are most likely to encounter conversations about our mortality and find solace in the face of death. Indeed if we go back far enough, we often find death-related imagery intimately tied to spiritual experience. Burial mounds were places of worship for the ancient Celts, and writings such as The Tibetan Book of the Dead have served as guides to spiritual realization. But this argument misses an essential recognition that I noted earlier. I proposed that cultural belief has served to keep death’s full significance at arms length and that religion has played a key role in this necessary obfuscation. By providing unquestioned explanation for what happens after death. Religion has also served to protect us from death as experience. Putting how religion has conceived of death in historical perspective supports this conclusion. It also helps us appreciate how our relationship to death has changed before. Each stage in the evolution of spiritual/religious understanding has provided us with a somewhat different picture of what happens after we die. Each of these pictures, in a way consistent with the realities of that cultural stage, offered a sense of order and gave us a way to reconcile with death. But each also, in the end, protected us from the fact of death. In tribal times, death was thought of as allowing us to rejoin nature and our ancestors in a parallel world. Later, with the early rise of civilizations and more polytheistic sensibilities, we commonly encounter belief in reincarnation, with death bringing a return to the present in some new form. With the emergence of monotheism, we came to think of death as providing entry into a now separate world—depending on our life choices, of either a heavenly or hellish sort. With the more liberal monotheism of Modern Age times, we tend most often to think of that separate world as simply a better and happier place. We can easily miss that religion, today, besides offering solace in death, continues to protect us from death’s easily overwhelming implications. While different modern religions vary in the degree they emphasize this protective function, it is never totally absent. I remember at my mother’s funeral how the minister seemed ultimately more concerned with reassuring everyone that my mother was now with God (and that everything was thus right and as it should be) than with my mother as a person. It became quickly clear to me that this was really not the place to be if I wished to grieve my mother’s passing with the depth that had come to feel important to me. Drawing on religion’s history in this way leaves us with a fascinating question: How might religion change if it underwent similar changes to those I’ve described for medicine? The question helps us further appreciate the radical newness of the needed new human relationship to death. It also provides important insights as we ponder the future of religion. It is possible that the needed “growing up” in our human relationship with death could here be even more fundamentally transforming. People of more secular bent have argued that religion doesn’t really have a future. 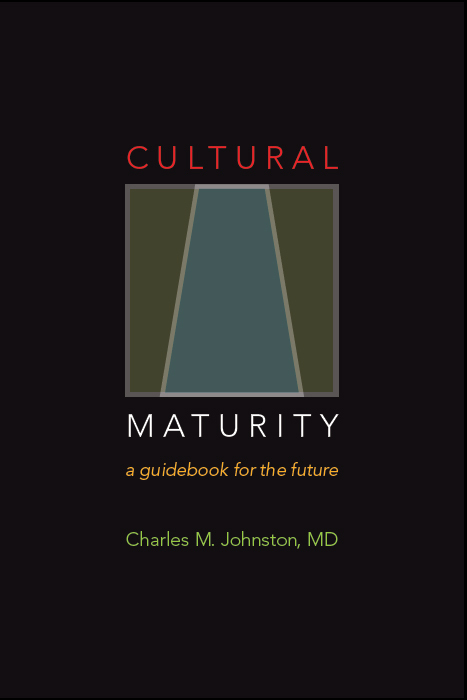 The concept of Cultural Maturity challenges religion at the level of fundamental assumptions. But it reaches a different kind of conclusion as far as religion’s future. Two recognitions related to religion’s past relationship to death get us started. First is how religion has always had a particularly close relationship with death, and not just because it has provided protective explanation. Religion has served to bring us close to the more mysterious aspects of experience. We’ve always experienced death and mystery as closely linked. The second recognition concerns the particular way this relationship has evolved. Even if we get that religion’s protective function with regard to death extends into modern times, we tend to assume that contemporary beliefs are more enlightened in the sense of reflecting greater understanding of death. While there are ways this is true, there are also important ways in which the truth is almost the opposite. Creative Systems Theory describes how each stage in culture’s evolution has involved greater separation between the darker, more mysterious dimensions of ourselves and the more conscious aspects of experience. Arguably we are more distanced from death as experience today than at any time in our history. These first two recognitions by themselves don’t do much to support a positive future for religion. If religion’s old protective function no longer serves us in the same way and religion today offers only the most limited engagement with death as experience, it would seem appropriate to conclude that religion in the future won’t have a great deal to offer—at least when it comes to death. But there is a third essential recognition that points toward a different conclusion. In a previous article I introduced the cognitive changes that produce culturally mature perspective. Cultural Maturity’s cognitive reordering challenges the Age of Reason’s assumption that rationality is truth’s last word. It helps us again appreciate how less rational aspects of intelligence—aspects of intelligence that modern age thought might have dismissed as simply subjective—have essential roles to play. This includes the sensibilities that in times past have linked us with experiences we call spiritual or religious. (A later piece in this series will look more closely at these changes. You can read the blog post Integrative Meta-perspective: Cultural Maturity’s Cognitive Reordering if you would like a head start). In asking how a new, more mature relationship with death might alter religion, it is only fair that we ask the same question of science. A person might imagine that in challenging religion’s protective role I am instead siding with science’s conclusion—that death is just death, the end of us. But death’s challenge to science is ultimately just as basic. At the very least we have to acknowledge that science’s conclusion is ultimately just as much an “article of faith.” Scientists share with theologians the fact that neither can describe death from personal experience. In addition, the same cognitive reordering that invites us to reflect anew on the future of religion takes death’s challenge to science an important step further. Culturally mature perspective makes clear that while modern science’s view of the world has contributed powerfully, the kind of “objectivity” that science relies on remains partial. The aspects of experience that the traditional scientific worldview leaves out would be expected to make scientific interpretation especially unhelpful when it comes to making sense of death. In the end, the death question confronts science (at least science of the narrow scientism sort) as fundamentally as it does religion, and the implications could be just as transformative (see The Future of Science). Creative Systems Theory’s more detailed formulations support death’s challenge to the traditional thinking of both religion and science in a further, more conceptual way. The theory describes how any time we find beliefs that we commonly frame as polar opposites—such as the positions of Left and Right in the political sphere, or here, with the conclusions of religion and science—something important is likely missing in each belief. And it is not just that each half of the polarity captures only part of a larger, more systemic picture—thought there is that. We also discover that all along neither side has been asking quite the right question. We appropriately expect this to be the case with religion, science, and the question of death. There are other spheres where the needed greater maturity in our relationship to death is pertinent. With some the connection is obvious and changes are already underway. For example, I don’t think we would see today’s questioning of capital punishment—and willingness to entertain more nuanced decisions about where it might be appropriate—without these changes. There are also domains where these changes are pertinent but where death’s role is not so obviously significant. I think most immediately of the media, both serious media—such as news media—and media of a more entertainment sort. Many of the most important media-related changes may be a long ways off. But given time, they could to be some of the most significant. Our ambivalent feelings toward death—at once attraction and repulsion— are key to much of modern media’s success. News of an “if it bleeds, it leads” sort commonly garners the greater portion of airtime. It is rare to find television after nine o’clock in the evening that doesn’t involve at least one shooting (more often it involves four or five). And killing—and the possibility of being killed—pretty much defines what “action” movies and most popular video games are about. Modern media draw us in by creating a narrative tension between life and death. But if what I have described for other spheres is accurate, this narrative tension is born of an increasingly outmoded and unhelpful relationship with death. It is based on a polarized and mythologized picture that makes death if not evil, certainly our adversary. I find it fascinating to reflect on how the kind of “growing up” in how we view death that the concept of Cultural Maturity describes might, in the long term, alter media—of all sorts. Because media have the potential to provide major leadership with regard to broader cultural changes, we should demand it. The place where a new, more mature relationship with death may have its most significant effect is even less immediately obvious. The need for a new maturity in our human relationship with death pertains directly to today’s ultimate cultural challenge. Just how it does gives added emphasis to the importance of leadership in all the spheres I have touched on. 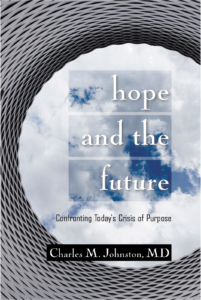 In the next article in this series, I will propose that the core crisis of our time is a “crisis of purpose.” As understandings of significance tied to culture’s past parental role fail us (whether it be the American Dream or our favorite religious or political ideology) we are being called on to address what matters in more conscious and encompassing ways. Coming face to face with mortality in our individual lives teaches us about what most matters to us as individuals—death is a personal life’s most pointed teacher of meaning, and ultimately of wisdom. As we learn to engage death collectively with a new maturity, it is reasonable to think that this engagement should help us in a similar way to more deeply confront what most ultimately matters to us more broadly—as humans. Why is looking directly at death so difficult that historically it has been essentially impossible? Certainly, death confronts us with the fact that life as we know it ends—not a comfortable recognition. But as I noted in introducing these reflections, death also confronts us with what is an even more final and disturbing limit. It confronts us in an ultimate way with limits to what is possible to control, and also, in the end, to understand. Before now, facing this most absolute kind of limit would not have been compatible with sanity. To fully grasp why we would want to do so even with Cultural Maturity’s changes, we need to appreciate an essential paradox. We encounter it any time we address limits more systemically—as with personal maturity in our individual development and in a more encompassing sense with Cultural Maturity. Lacking mature perspective, we experience real limits as problems, at best as adversaries to be defeated, at worst as evil. With Cultural Maturity’s cognitive changes, we better see how inviolable limits are nothing exceptional. They are just part of how reality works—an essential aspect of what is. This recognition could not be more important. As far as finding reason to engage the needed new relationship with death, at the least it helps us see how acknowledging limits lets us perceive more clearly. And there is more. Perceiving more clearly in this sense helps us better take in life’s complexities and nuances. Because of this, acknowledging real limits, rather than limiting us, ultimately does the opposite. It frees us to better see options, to recognize what in fact is possible. This paradox should accompany all the aspects of the needed “new common sense” in our relationship with death that I’ve described. Nothing is more inescapable and obvious than the fact that we die. And at the same time, directly confronting this simple fact—both within specific domains and more broadly—should prove to be one of our most important teachers going forward. The humility required to do so deeply should play an essential role in generating the complexity of perspective—and wisdom —that effective future decision-making in all parts of our personal and collective lives will increasingly require.